The Chair must be a member of the Board. The internal auditor will be invited to attend and speak at all meetings of the Committee and the financial statements auditor will be invited when business relevant to them is being discussed. They will be expected to attend only for the items that are relevant to them. The Group Director (Commercial Strategy, Finance and Operations) and the Group Director (Planning and Performance) will be in attendance. Other staff may be invited to be in attendance for specific agenda items, with the purpose of answering questions from Committee members if it is deemed appropriate. taking or overseeing the taking of minutes of the meetings. Whilst the responsibility for overseeing the membership of the Group’s Committee structure rests with the Chairs’ Group, this Committee, in line with the Audit Code of Practice, reserves the right to maintain its independence in recommending the appointment of Committee members in line with the needs of carrying its responsibilities as specified within these terms of reference. In order to ensure that Committee members have recent, relevant experience in risk management, finance, and audit and assurance, the Committee will review its membership at least annually to ensure that members have an appropriate mix of skills and experience to enable the Committee to discharge its duties effectively. The Committee shall normally meet four times per year. The quorum for meetings of the Committee shall be 40% of the membership. At least two members of the Board must be present. The Committee will meet privately, without executive members present, with both the external and internal auditors at least once per year. Members are required to disclose any interest or conflict of interest they have in any matter being considered at any meeting at the earliest opportunity and before the item is considered. A member should withdraw from this part of the meeting if the interest could be perceived as being likely to interfere with the exercise of a member’s independent judgement and if required to do so by a majority of those members present, and must not vote on the matter. The public shall not be admitted to the meetings. The Committee has the right to investigate any activity as detailed within its terms of reference and has the right to access all information and explanations it considers necessary, from whatever source, to fulfil its role. to oversee the arrangements for the management and quality assurance of data to ensure their effectiveness and to include a statement within its annual report to the CCCG Board on the quality of data. to be informed of all additional services undertaken by the IAS, the financial statements auditors and any other auditors (if appointed). Details of any additional work must be included in the Committee’s annual report to the Board. to review the annual financial statements and letters of representation and recommend to the Board their approval.  The Committee will regularly review its own terms of reference and effectiveness as part of its annual self-assessment review.